this one seems very original. 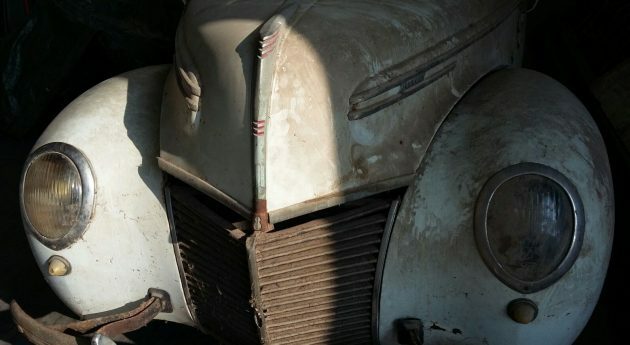 the way the owner explained it, the builder started in his garage, getting the parts together to make teardrops, from whatever he could scrounge up cheap, and so not all his teardrops were made identical. Some have different fenders for example, like these two. The Kit Manufacturing company started in 1945 in Long Beach, California as a manufacturer of teardrop campers that were sold in kit form or as complete units. Kit teardrops have one of the classic teardrop shapes that people quickly recognize. They had no orders yet, but their plan was to produce the cute little aluminum-clad trailers in knocked-down form to be assembled by the purchaser. With a dream and 60 Fulton trailer hitches. They soon learned that the public wanted a completed trailer, not a kit. They decided to manufacture complete units and redesigned the earlier plans for easier assembly with less waste of materials. After the war, material had to be obtained from surplus markets. The chassis was made of 2"x1" steel U channel, when it could be found, and from 1-1/2" round tube steel tube otherwise. Wheels were from Jeeps salvaged from sunken ships. Many had bullet holes in them which were welded up. Exterior skin was aircraft grade aluminum. The first public KIT Trailer showing was at Gilmore Stadium in L.A. February 1946. They took 12 completed units to the show and booked 500 firm orders at a dealer cost of $500. Some dealers paid in advance, many offered to pay a bonus to get early delivery. The 4'x8' "Kit Kamper" TearDrop Trailer was destined to win the hearts of Americans... and a place in history. Later that year KIT Mfg. offered several options and Standard or Super Deluxe version. Options for example were a second door and fiberglass (a new technology) fenders, a 10 gallon water tank, chrome yoke and other cosmetics, including a stove with a Manchester butane bottle. Sales were going crazy. Over 1,000 units were backlogged and by July, Kit was operating two shifts and turning out 40 trailers a day. A total of 4,500 Kit Kampers were produced in 1946 and 1947. Success demanded change and in January of 1948 Kit went into production of a more conventional 8'x14' "coach" with demand far exceeding production capability. 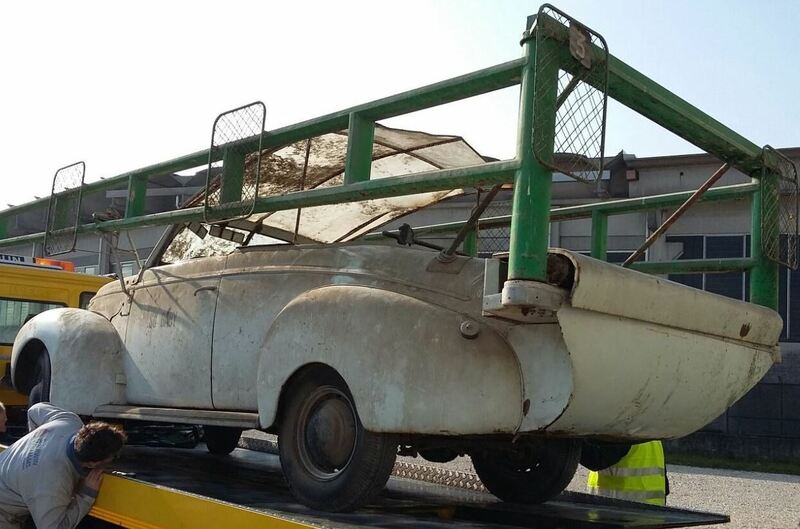 The "Kit Kamper" teardrop assembly line was ended. If you have one and want to upgrade the tires and rims: spindle upgrades by Big Tex trailers, 15” wheels are then easy, and so are radial tires. There are many different shapes and styles of teardrop camping trailers, some are not even really a teardrop shape but the basics remain the same. A cozy compartment for sleeping and an outside kitchen, usually under a lift up hatch in the back. There were many volume manufacturers including Kit, Ken-Skill, Modernistic, Benroy, Kampmaster, Tourette, Scad-A-Bout among others. Several designs were sold as kits as well as factory assembled models. Some designs were also manufactured by more than one company. For instance the Benroy was later sold under the King Richard name and the Modernistic evolved into the Modernaire and Cub. the first I've ever heard of an Eriba Puck, and the guy who owns it, has found 2 more since. he was given, or found, 4 scooter batteries and wired them in parallel ! I just posted about the portholes lighting up in Feb, when I did a short article on Ned Nickles, the designer. The idea for VentiPorts grew out of a modification Buick styling chief Ned Nickles had added to his own 1948 Roadmaster. 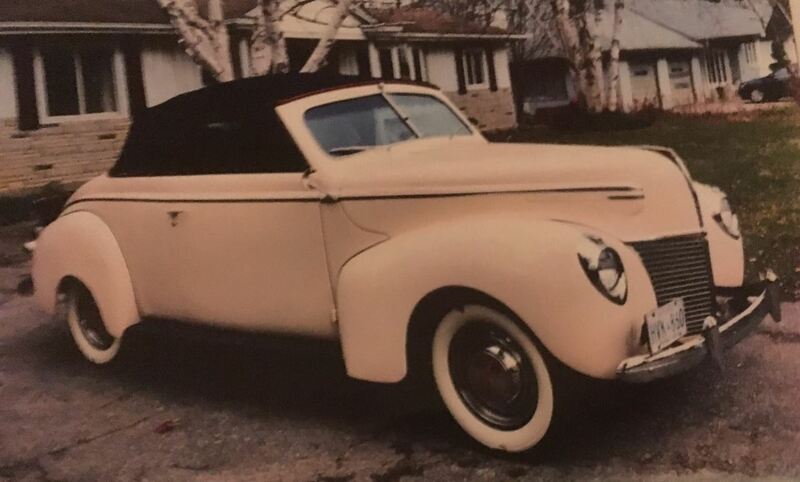 Four amber lights were installed on each side of the car’s hood which were wired to the distributor. The lights flashed on and off as each piston fired which was supposed to simulate the flames from the exhaust stack of a fighter airplane. 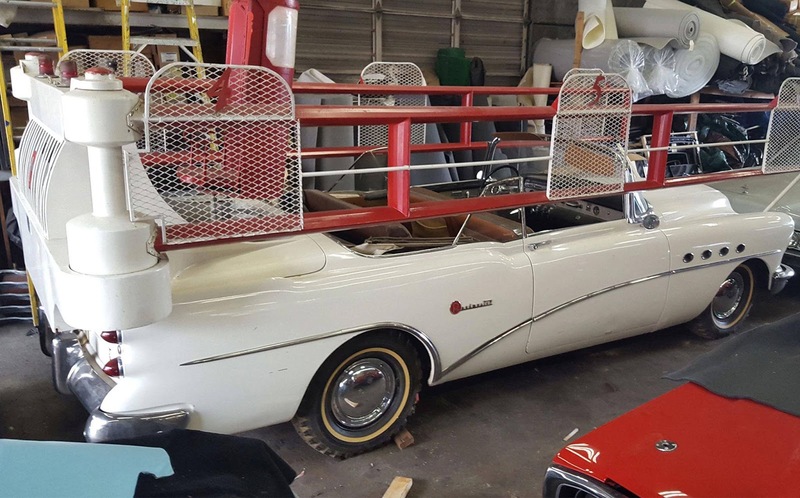 a starting-line car for horse racing, a Buick horse racing gate car! 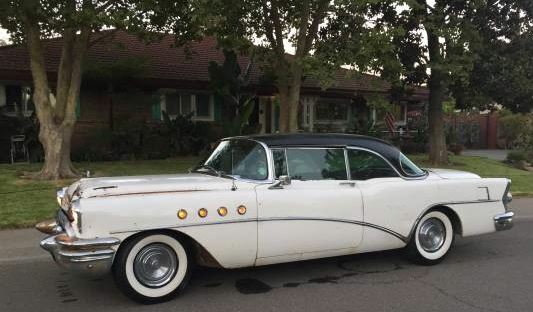 Of the 3,305 Buick Roadmasters built in 1954, this one was ordered specifically for this purpose. It was used at Maywood Park Racetrack in Chicago. Unlike thoroughbred racing, where the horses start from a fixed gate, the gate in harness racing is mounted to a vehicle that starts the race by pulling away from the line of horses. The gates fold forward on the vehicle as it accelerates and then it turns off the track at the end of the straightaway, while the horses continue around the turn.